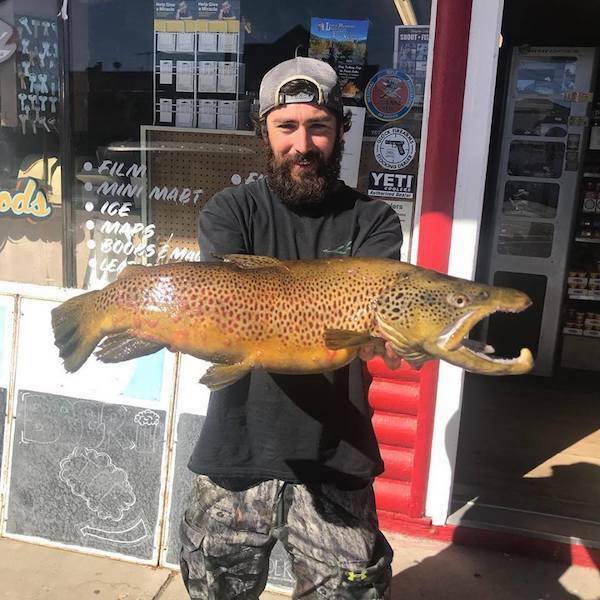 We got some pretty good reports from the river this week, most anglers have been reporting lots of fish in the 10 to 16 inch range and a few here and there stretching the tape at nearly 20”. The flows are low, 25 cfs right now and will probably stay in that neighborhood for most of the winter. Most of the action has been coming with small midge patterns but there have been some fish eating streamers as well. We haven’t heard much from the Nevada side lately but there should be some good fishing to be had down there as well. It sounds like most of the fish being caught in the section below the bridge are browns while the Miracle Mile section is kicking out about 50/50 browns and rainbows. Watch the weather if you’re planning a trip, sometimes when it’s very cold the bite will slow down but if there’s some snow storms or good cloud cover and the temps are a bit higher the fishing should hold out pretty good.